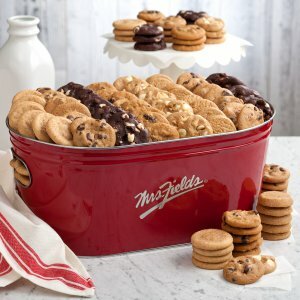 Express your condolences with Mrs. Fields' selection of sympathy gifts and cookies. 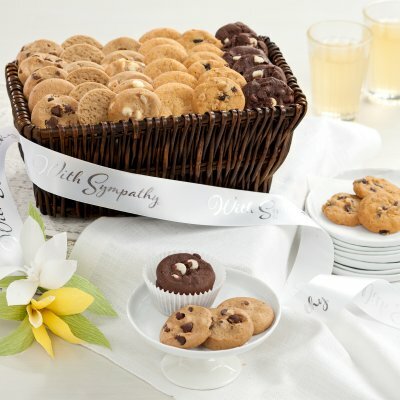 Each of our sympathy gift baskets are prepared and delivered fresh, with attention to every detail. Customize the attached tag or ribbon with the message of your choice. Why We Love This Gift: We love this gift because things to offer visitors after a loss come in handy. Meals are often delivered for a grieving family. Nevertheless, for those who visit but won't stay it is helpful to the bereaved to have things on hand to offer. Cookies are good for that. What To Say in Your Card: My condolences. 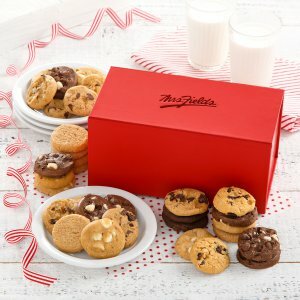 I wanted to send you a little something good to eat or something to offer the throngs of people moving through your house because they love you so much.